Is Your Heating System Affected by Cold Climate? There are a number of questions from homeowners who encounter several problems with their heat pumps. Does the cold climate or weather really have an effect? There are a lot of questions with regard to these pumps. 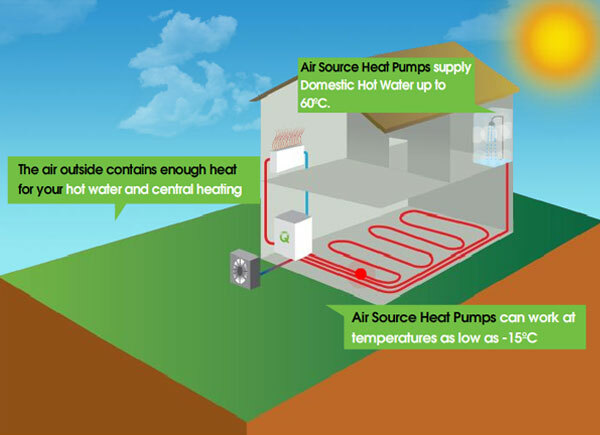 The most usual kind of heat pump is an air-source renewable heating pump. There are a number of reasons why they are popular in the market. This kind of pump involves easy and affordable installation. Therefore, you get to save a lot of money with the installation. In addition, you also get to save a lot of money on the bills. The best thing about this kind of pump is that you will be able to get both a heater and a cooler in just one pump. It would be best to learn more about this kind of heating pump. You should try to learn how they actually work. Air Source Pumps – These are installed for the delivery of hot water. Their efficiency is very high, unlike other kinds of boilers. In fact, they have very high ratings. This is why this particular kind of pump is highly popular. There are different kinds of heating pumps, including air to air. This kind of system removes the heat from the outer portion of the area. This is not as popular as the other kind since it does not create heated water. Another kind is the air to water pump, which is more common than the previous one. It is more popular since it can also be used to produce hot water. Homeowners are highly encouraged to get renewable energy, hence the renewable heat. This can help you save a lot of costs in the future. The great thing about air source pumps is that they can be used during cold weather. Although the efficiency rating will also decrease with the cold weather, you will still be able to use this kind of pump. If you want, you can always get an additional unit. Make sure that you check out the different kinds of pumps that can help you save a lot of money. You need to check their efficiency ratings. Try to do some research in order to learn and understand how they actually work.